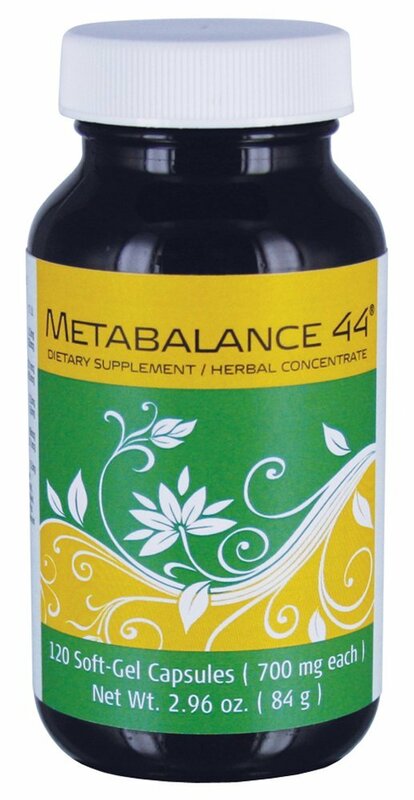 The herbal ingredients in Metabalance 44 enhance the benefits of the vitamins and minerals while helping your body to absorb the nutrients more easily. Twenty four years ago, my husband and I wanted to start a family. We were both very healthy and thought I wouldn’t have a problem getting pregnant. Well, I had no problem getting pregnant, but I did have a problem getting past the first trimester. I ended up having two miscarriages and decided I needed added nutrition. That’s when I started having NuPlus and Metabalance 44. I refused to take the huge iron pills my doctor wanted me to take and took Beauty Pearl daily. Thank G-d I got pregnant and we had a healthy and beautiful baby boy, our son Mark. Now, 24 years later, I still love having NuPlus, Evergreen, and Fortune Delight daily. They all help me with my daily workouts, and I truly believe Sunrider helps me to stay healthy during our rough winters here in New England. I don’t even remember the last time I had the flu it was so long ago. Along with my daily Sunrider foods, I have also added the new SunTrim Plus. 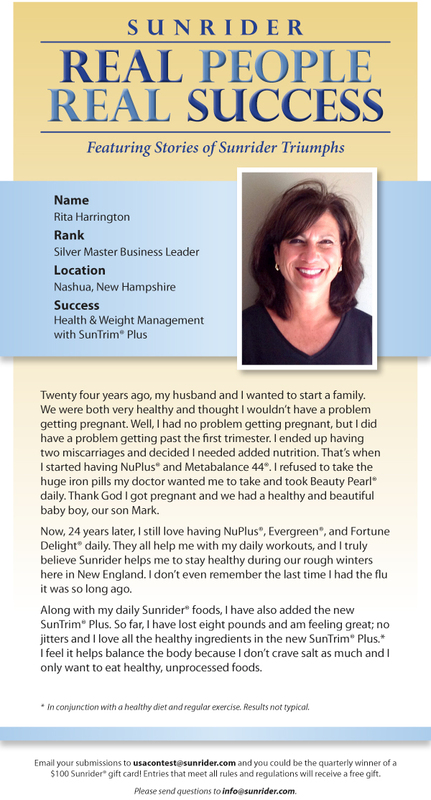 So far, I have lost eight pounds and am feeling great; no jitters and I love all the healthy ingredients in the new SunTrim Plus. I feel it helps balance the body because I don’t crave salt as much and I only want to eat healthy, unprocessed foods. Be the first to review “METABALANCE 44” Click here to cancel reply.